New Oxford is a borough located in Adams County, Pennsylvania. The community also occupies the 17350 zip code. The population estimate of 2014 pins the number of residents at 1,790 residents. The borough is home to several large manufacturing plants providing employment opportunities in the food, paper products and propane energy industries. New Oxford, known as the Original Antiques Capital of the South-Central, PA, is a popular location for antique shops which attracts many antique enthusiasts. Residents will find a mix of blue and white collar employment opportunities including sales, service providers, office and professional in addition to manufacturing. The community of New Oxford, was originally named Oxford Town, but was changed by the first postmaster to New Oxford in 1822. New Oxford was incorporated as a borough in August of 1874. In 1866, the population was described as including 14 gold watches, 65 pleasure carriages, 40 cows, 67 horses and 209 residents. Farming was once the main mainstay for the residents, but gave way to manufacturing in the early 1900’s. The community has managed to remain small despite growing population in the immediate area. Today, New Oxford is a small but thriving community offering quiet lifestyles. Many of the residents embrace their community and take an active part in keeping the neighborhoods strong, attractive and peaceful. New Oxford is served by the Conewago Valley School District and educates students from Kindergarten through grade 12. Students in the district also have the choice to attend any of the available Charter Schools as space permits. The school district promotes academic competiveness and excellence, as students prepare for higher education, business or industrial careers or military service. The schools are highly rated by teachers, students, parents and other educational professionals. Residents will also find several private schools in the area offering an alternative to public school education. Some of the private schools are religion based. Available real estate includes single and multi-family homes, condominiums and townhouse, as well as undeveloped lots suitable for residential development. Homes are located in several neighborhoods that support a variety of lifestyles. Most homes are moderately priced, with select properties classified as expensive. For the most part homes are affordable for families, first time home buyers and retirees. The homes vary in architectural styles and number of bedrooms and bathrooms. Many of the homes date back to pre-World War II making the area one of the more historic boroughs in the country. Most homes offer off-street parking and many provide one or two car garages. Home buyers will also find some new construction indicating a strong housing market and economy. The neighborhoods are quiet and ideal for those that value peace and solitude. 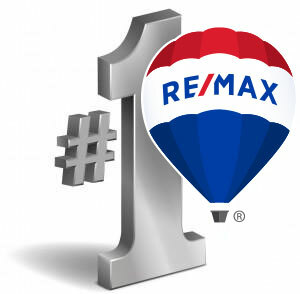 For anyone interested in New Oxford real estate, contact RE/Max Quality Services, Inc. The real estate team is experienced with available real estate in the community and knowledgable about the surrounding area. The team is on top of the latest real estate trends and utilizes the latest tools to help clients find and purchase the right home within budget. The real estate team is especially helpful to first time buyers as they will guide them through the home buying process. New Oxford and the surrounding communities are home to a variety of things to do and include historic walking tours, art and cultural activities, sporting and physical challenges, Farmers Markets, seasonal activities such as ice skating, skiing and other winter related activities, theater, movies and concerts. New Oxford is only 7 miles from historic Gettysburg where visitors will enjoy historic walking tours and events. Residents will also find many events in the area including holiday and seasonal celebrations and charitable events. The Fourth of July festival is a popular and well attended event and includes a parade and a day of food and music celebrations topped with the annual fireworks display. One of the more popular events is the annual antique and crafts show sponsored by the local Chamber of Commerce. The event is held on the third Saturday in June and has grown to be one of the largest events of its kind in the east.